Who created Family Court and Beyond? The content on this site is written by Pamela Cross and Rachael MacLean. 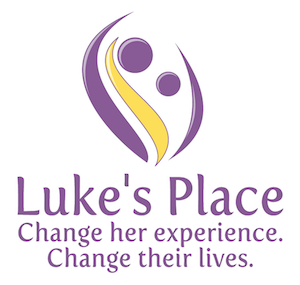 We are part of Luke’s Place Support and Resource Centre for Women and Children. We also work on the provincial and national levels, conducting research, engaging in law reform advocacy, creating resources for frontline workers and women and developing and delivering both in-person and online training to workers, lawyers and others involved with family law. After more than 10 years of providing family court support to women in our community who are leaving abusive relationships as well as training workers across Ontario, we have learned a great deal about the common challenges and barriers that women face. Based on this knowledge, we have developed tips and strategies to assist women in overcoming these challenges and barriers. On this website, we have brought together basic legal information about key issues that are likely to arise as well as tip sheets, worksheets and checklists to help you think about and organize your case. Thank you to The Law Foundation of Ontario Access to Justice Fund for the generous funding we received to develop this website and the related workbook. While this project is financially supported by The Law Foundation of Ontario Access to Justice Fund, Luke’s Place is solely responsible for all content. Luke’s Place would like to acknowledge and thank those who made this material possible. One of the essential elements of this project was working with a focus group of women who have been through the family court system with abusive ex-partners. They provided input, feedback and shared their lived experiences during each step of the material’s evolution. Thank you for your wisdom, strength and dedication to ending the cycle of violence in your own families and beyond. Thank you to the Luke’s Place staff who contributed to the website, the workbook and the development of the accompanying workshops. We would also like to acknowledge the input and support of our community advisory committee, which was made up of several women’s organizations across Ontario that support women through the family court process. Finally, thank you to everyone who envisions and works toward a future that is free from violence against women, children and society as a whole.